HOMEMADE VIDEO: REMEMBER (A Remake of John Lennon’s IMAGINE by Tom White) | Virginia Right! It was some years ago that John Lennon challenged us to “imagine” a life under Socialism. We no longer need to imagine. Europe is fully engulfed in Socialism and every country is failing and imploding under massive debt and stagnant economies. And the USA is right in the mix. We no longer have to imagine. We see what Lennon was singing about. Now we need to remember what it was like to be free. The problem with Socialism is that the government needs to make certain segments of the population the enemy. Those with money. Those who support freedom and those who remember why the founders included the Second Amendment. Not so we could hunt, but so we could protect ourselves from the type of oppressive government we fought so we could create the most perfect form of government the world has ever seen – Democracy. Only a people who self govern are truly free. When we give up our liberty to government, it is likely lost forever. It is time for Americans to unite. Not under Utopian ideas put forth by Marxists and glorified in song by drug addled minds bent on creating an unrealistic society that has never worked and never will. I am a fan of the Beatles and John Lennon was a great influence on the culture of the world. A lot of it was good, some not. The song Imagine has long been a favorite of mine for it’s pure musical simplicity and even it’s well meaning but misguided lyrics. In producing the musical track for this video I used only an acoustic guitar – fittingly a 1964 Epiphone “Paul McCartney” Texan. The same year and model that McCartney has no doubt used to play this song. We no longer have to imagine a world without religion. Without God. We have arrived. And the result is devastating. Unfortunately, there are those among us who are happy to sit back and let others do all the work. Socialism breeds laziness and apathy. It stifles innovation, self-reliance and work ethic. It promotes failure and punishes success. 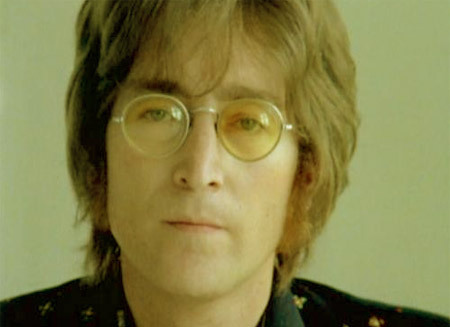 Lennon challenged us to imagine. I beg you to remember!